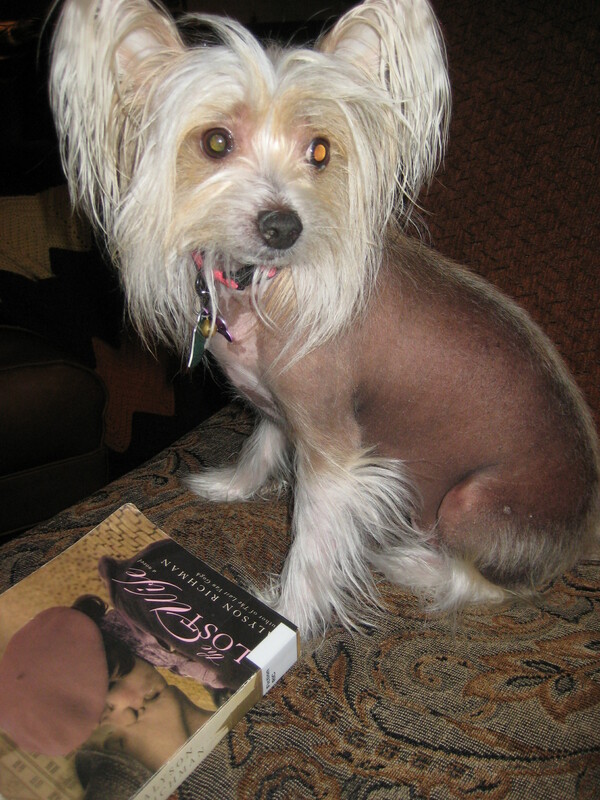 You Have Got To Admit……My 4-Legged Reader Is Beautiful!! I think that my 4- legged reader Chloe is beautiful, so when everyone keeps bringing up the Worlds Ugliest Dog Contest, I get really upset. 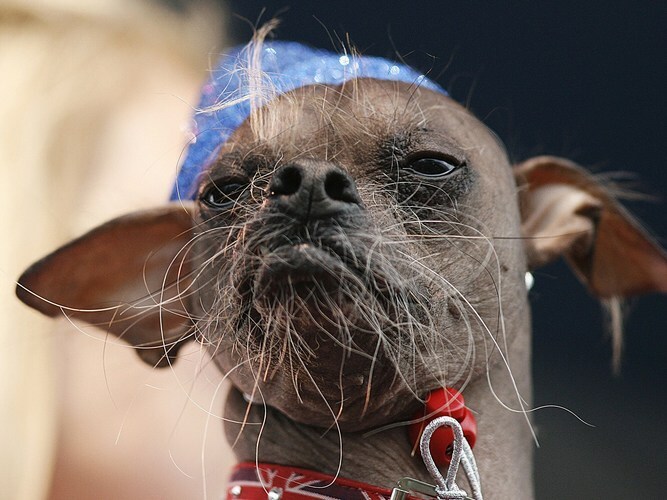 Sure I have to admit that Mugly the 8 year old Chinese Crested from the UK who won this Year’s contest is not an attractive dog, but not all Chinese Cresteds dogs are alike! You cannot imagine how many times people have forwarded me pictures of Mugly or articles about the contest. I have three Chinese Crested Girls and a Chinese Crested Grand Dog in my family and I think that they are all beautiful! Someone has to stop this madness! And I bet Mugly doesn’t read either! I have no 4 legged readers, just sleeping cats. Hi Resa! Loved to see pics! Susan, your Chloe really is a very beautiful puppy ! Thank you Bonnie! I needed that! I think Chloe is adorable! Thank you!This is very good for Chloe’s self confidence! Thank you Marie! Chloe is beautiful inside and out! As you can probably tell, I am a little nuts when it comes to my “girls”. I agree Susan!! Gorgeous dogs!!! I am shopping your site for good book recs so I can have something good to read on vacation… Thanks for the tips! Hi Diane, Chloe is a wonderful reading companion. She is also an amazing bed warmer! She has to be touching me and she is SO HOT! Not always a good thing!